Despite the recent bout of market volatility, MACROCAST™ continues to indicate a low probability of a recessionary bear market. The recent market decline is neither large nor unusual, even for a strong bull market. 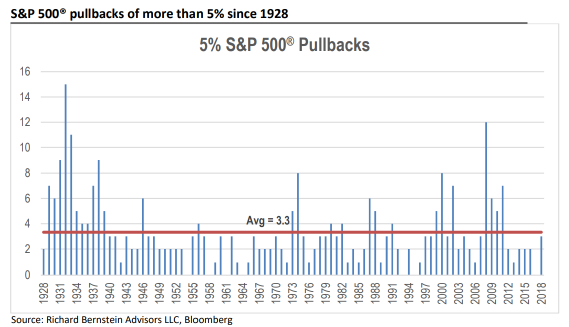 Historically, the market averages more than three declines of 5% or more each year. We believe, that despite the recent volatility, the market is poised to advance higher in the coming months. 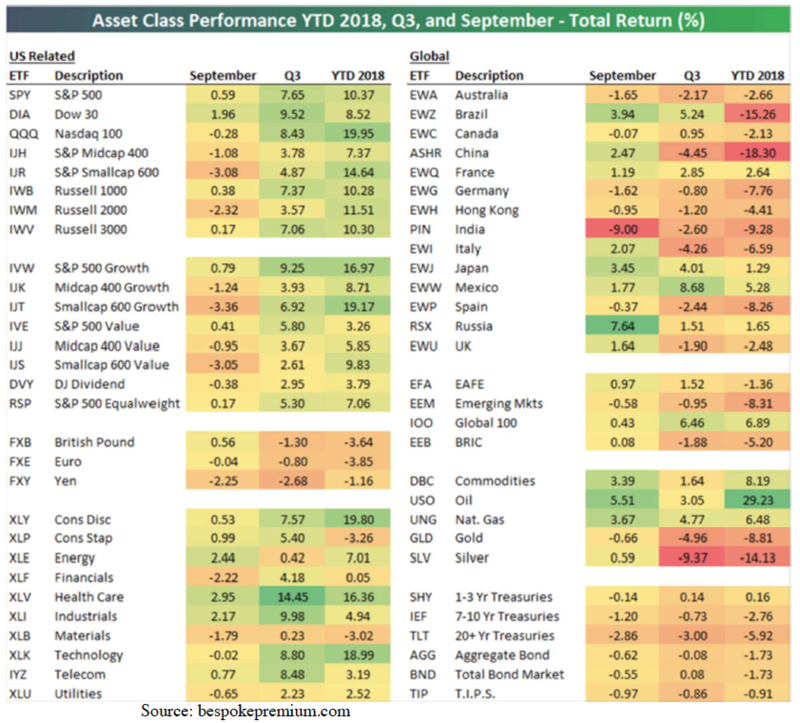 Our review of asset class performance shows strength in technology stocks, growth over value, and continued weakness in bonds. THE FED RAISED RATES AGAIN. 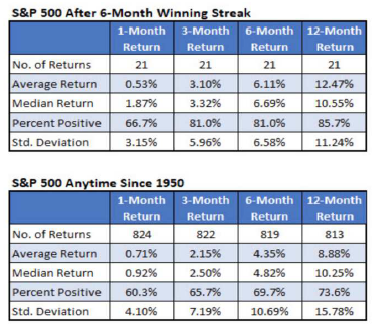 HISTORICALLY STOCKS HAVE DONE FINE. 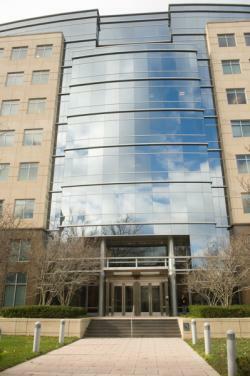 As a reminder, MACROCASTTM is Corbett Road’s proprietary investment model. MACROCASTTM measures the attractiveness of risk assets by looking at the VITALS of the market—Valuation, Inflation, Technical Analysis, Aggregate Economy, Liquidity, and Sentiment. By looking at multiple factors, we can better gauge market conditions and the probability of a major market decline. The strongest readings in MACROCASTTM continue to be in the Aggregate Economy category, which focuses on leading indicators of economic activity. Most of the indicators we track in this group remain strong and suggest economic growth will continue. The Sentiment category was postive as well. Sentiment declined in some areas thanks to the recent market sell off, and stocks tend to perform better when sentiment is weaker. Technicals are the most mixed category, as the volatility in October caused the market to trade just below its 200 day moving average (200 dma). The market is considered in an uptrend if it trades above the 200 dma and in a downtrend if it is below. Keep in mind that the 200 dma has not been a good sell signal recently. Trend followers have been “whipsawed” the past several years, selling out of the market after a decline, and buying back at higher prices after prices rose back above the trendline. The 10% decline for 2018 occurred from January to February. The peak-to-trough decline in October is around 7%. 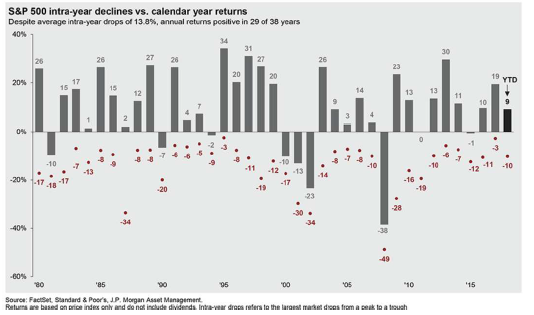 It is also important to note that it is not uncommon for the market to experience multiple declines of 5% or more during the year (as reflected in the following chart). As we mentioned in the previous section, the market has been very volatile since the end of the third quarter. So, while the numbers in the table below have shifted mostly lower, the key takeaways from asset class performance remain the same. 1. USA back on top. After underperforming international stocks in 2017, the S&P 500 is handily outperforming both developed international and emerging markets. 2. Tech & Growth Stocks are the best performing sector and style. Technology stocks are among the best performers year to date. Growth stocks, which are categorized by above average earnings growth, have strongly outperformed value stocks, although the difference has diminished since the end of the 3rd quarter. 3. Bonds still struggling. Another thing that has not changed since the end of Q3 is bond underperformance. The aggregate bond index is set to finish negative for only the third time in 40 years. One thing to note, however, is that despite the decline of 1% this month, equities have sold off much more. This demonstrates the benefit of diversifying with bonds as they tend to exhibit much less volatility in a market decline. We will publish our next edition of Macro Musings in early December, which will cover our firm’s outlook for 2019. Thank you for reading our latest thoughts and analysis.